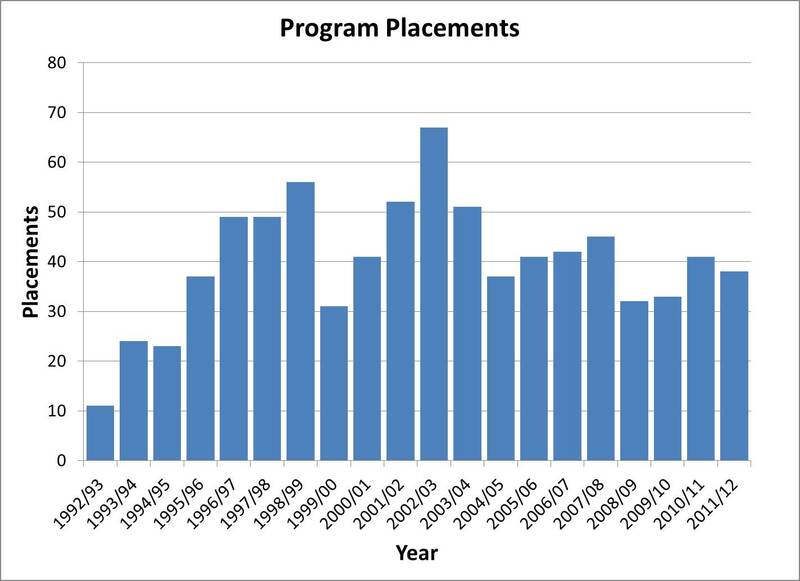 The program has grown expediently since 1991 with the first group of 11 students departing in 1992. Steady growth was encountered from 1992-1999 and followed by the economic downturn in 1999 and 2000 which paralleled the reduction of student interns going to Japan. Intern numbers have fluctuated in recent years reflecting the global economic situation, and in 2011 as a result of the Great Eastern Earthquake.